I hope you are doing well and enjoying the sunshine :) Its been a lovely day here today!! Welcome to another Fancy Fold Blog Hop. the fabulous hop that focuses on a fancy fold techniques. Its was hard to showcase this card upright so you get a flat picture of it :) I hope you don't mind. I focused on the watercolored background, this was inspired by a technique my dear friend Steffi Helmschrott shared on her blog. 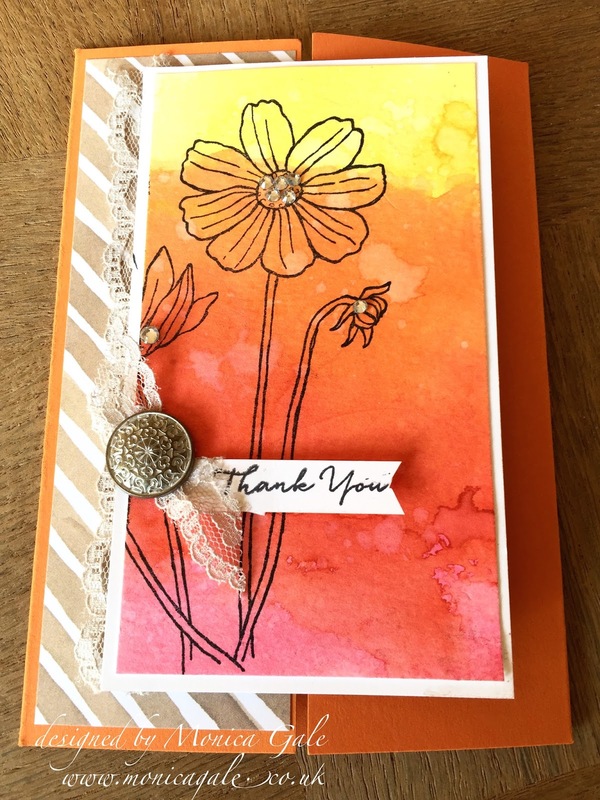 I used Daffodil Delight ink, Melon Mambo and Pumpkin Pie. Oh Monica, your card blows me away: stuuuunning. It looks like a real hot summer.. and I nead more temperature, perhaps on cruise? Oh I just love the background you created :-) such an awesome card. Your card is absolutely STUNNING!!! I love it!! So pretty Monica, I love that you watercolored the background, it turned out beautifully. Monica! You're watercolouring it STUNNING! 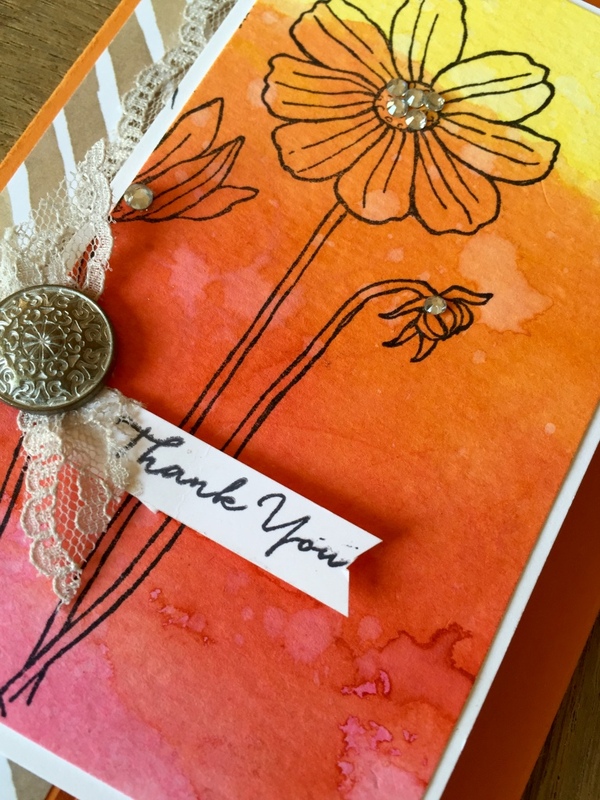 I love your colour combo and the stamped image in black, just makes it pop! The links to the other bloggers is to their FB pages and not their cards. Is there something I did wrong?